Kumihimo is a traditional Japanese art form for braiding. Back in the sixth century it was an art form used during Buddhist ceremonies to decorate homes. It has evolved to become very colorful and complicated since. Today, instead of decorations, it is used as an accessory. It also includes beads to make complex patterns and designs. There are a number of patterns, which from a distance can seem very intimidating and complicated but once you learn the art form with enough patience you’ll see for yourself that it is simple and it only requires some time and effort. 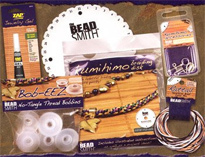 What you require the most in order to learn Kumihimo braiding is a guide or a teacher. The best guide would be A Complete Guide to Kumhimo on a Braiding Loom. With very clear instructions and a number of diagrams to aid you with each step, this book is the ideal guide for beginners who want to get started and indulge in the world of Kumihimo braiding. It keeps beginners in mind, who barely have any idea about the art form and explains each step in simple words. There is no jargon or technical term usage in the book. This makes it very easy to follow and understand. 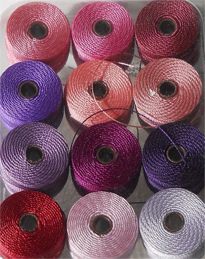 This is an eighty eight page book of information and techniques to create a number of different jewelry embellishments such as bracelets, necklaces, friendship bands, straps, key chains, leashes, and belts. It begins slowly, teaching you the basics and then works its way to the complexities and the advance techniques used in braiding. These techniques use not just the most popular KumiLoom but also many other disks. You can thus have complete knowledge about braiding from just this one book. The pictures are illustrative and the book includes drawings too. Through these pictures, you will have an idea about the braiding at each step clearly. Alongside, you will know how the end result should be and this makes braiding very easy. Once you can do the simple eight strand round braiding, you can move ahead to other techniques such as using beads in the braids. Besides round braiding and beading, it teaches you about hollow braids, flat braids, square braids, and even necklaces. One of the highlights of this book is that it shows you how to actually end your braiding. Not many guides will give you this information. You can add end caps and make your own necklaces and bangles with ease. Once you are through with the guide and you have grasped the basics of the art form, you can look through the final pages, which give you a number of patterns and designs to take aid of and to make your own patterns. These will serve as excellent inspirations for your braiding. 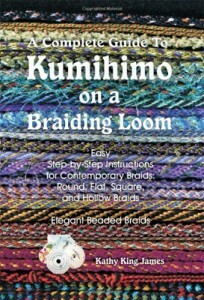 All in all, if you love craft or if you want to adopt a new hobby, you should try your hands at Kumihimo with this book. It is fun, it is easy, and it is very useful. This guide deserves to be a part of your craft collection. This entry was posted in kumihimo books on October 22, 2012 by admin.